While planning to study management in a part-time course besides working full time, you need to find the right correspondence MBA institute. There are several part time management courses in India that allows better career growth in future. Management education is so important these days that it has become a must for almost all business entrepreneurs and intrapreneurs these days. Without a post graduation degree in management these days it is hard for the managers to compete with their counterparts in the professional field. Previously, those people who did not have MBA degree with them could get management jobs but at present in many business organizations it has become important for them to get the MBA degree as soon as they can to stay in the corporate race. Many people who wish to get a management job are unable to pursue management education due to financial crunch. Therefore, they have to find job soon after completion of their graduation. It is for these already in management job employees not having MBA degree and the ones who have to find jobs early that the correspondence MBA programs have been started in India. Before you choose a correspondence MBA course in India you should determine which kind of part time MBA in India would suit you the most. For this you need to find out what are the various kinds of MBA courses offered by various institutes in India. Commonly, the correspondence management courses that are offered by various MBA institutes in India are executive MBA courses of one year time period, online distance learning MBA courses and part time MBA courses offered by open universities in India. All of these have the individual advantages and disadvantages. Therefore, while choosing a particular part time MBA course in India you need to find out there pros and cons. This category of correspondence MBA course has got two sub divisions. The sub-divisions are synchronous and asynchronous mode of distance learning. In the synchronous mode of education, the part time MBA student has to gather at some place defined by the MBA institute offering the distance course. Here, various modes of online teaching is practised such as video conferencing, cloud system, live streaming, internet radio, internet television, etc. These courses help the students to interact with the teaching faculty online through the said means of communications. However, the main disadvantage of this is that they would have to reach a predefined place determined by the MBA institute. Therefore, this mode of education is very helpful for only those who can afford to attend the predefined place after their work hours. However, those who have shortage of time for them the distance MBA courses in them the asynchronous mode is the best solution. In this mode of distance management education one will have to enrol with the business school and then the institute would send them the hard copy of the study material. They will not require attending any online or offline classes in this mode. However, they would be able to enjoy interactive modes from different places using various internet technologies accessed from any place they want. Admission in a full time management course often requires a particular percentage at the graduation level and a valid score card of MAT, XAT or CAT examination. There are many students who become ineligible because of either they do not have the required percentage or do not hold a valid scorecard of the said management entrance test. In such situation, the open universities are of great help. They offer admission to the students in spite of not fulfilling such criteria. You should always check out the list of top part time MBA colleges in India before enrolment because there are many low ranking colleges. A degree from such low ranking colleges might not be considered while you go for a job interview. However, if you might think of just gaining the education for applying the management knowledge in your own business then also the open universities are great option. Some of the finest B-schools in India offer executive MBA programs as one year course. As the name suggests these are meant for executives or working individuals who wish to pursue management studies. Often companies sponsor their employees to get educated in management through this mode of management study. These are also very good for those entrepreneurs who wish to gain knowledge on management for their own businesses. These are also excellent programs for students already having high professional degrees such as CA, FCA, CS, ICWA, etc. Thus, having understood about these types of correspondence MBA programs would help you to select a course of part time MBA in India. The author, Kamlesh Maddheshiya has worked as a retired lecturer of a reputed MBA school. 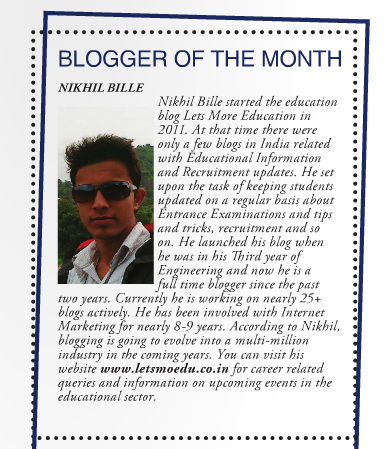 He now writes articles for his blog and other online publications for providing guidance to management students.